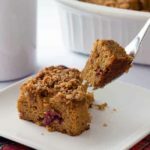 This tender, delicious Gluten Free Cranberry Pear Coffee Cake is perfect for morning coffee or even for a simple dessert. You won’t believe it’s grain-free and dairy-free! 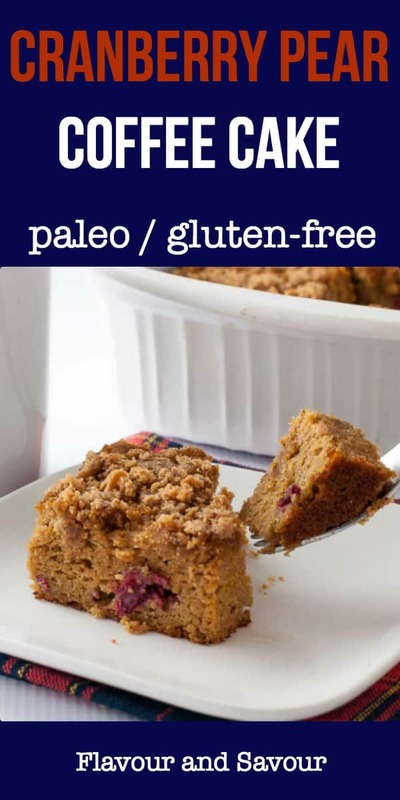 A paleo-friendly recipe. 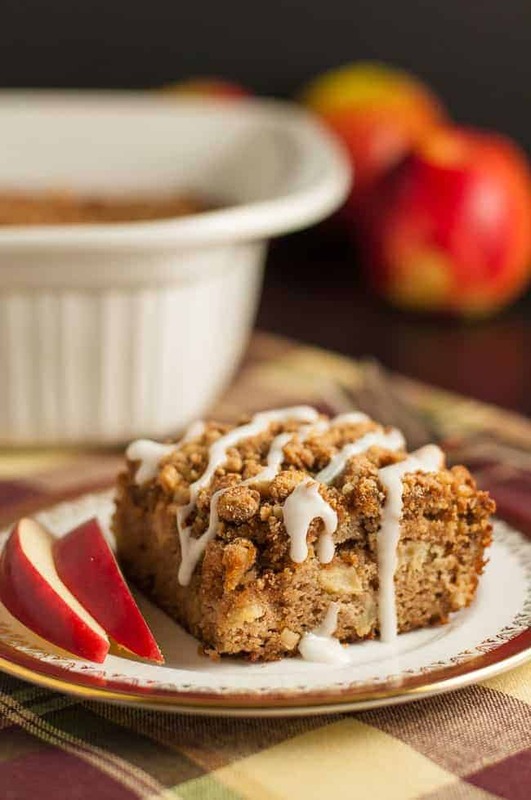 Made with almond and coconut flour and sweetened with maple syrup and coconut palm sugar, this Gluten-Free Cranberry Pear Coffee Cake is a yummy treat for all of us who are avoiding gluten in our diets. Who says we can’t have cake? This coffee cake’s texture is so fine and tender, it’s hard to believe it’s not made with wheat flour. 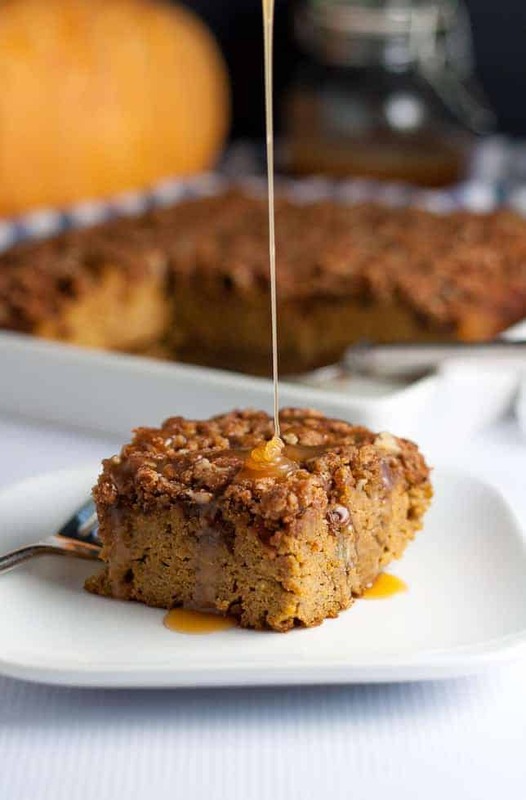 I’ve used this basic recipe before in both this Gluten-Free Apple Crumble Coffee Cake and this Pumpkin Pecan Caramel Coffee Cake. I love the flavours of both, but I decided that since variety is the spice of life, we needed another flavour. 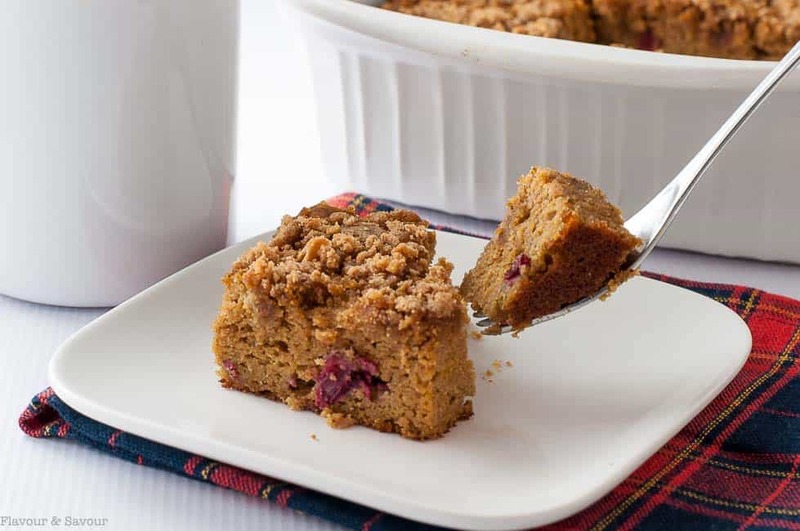 And what could be better on a chilly fall or winter morning than a slice of Cranberry Pear Coffee Cake with a cup of warm coffee, cake fresh from the oven and someone to share it with? 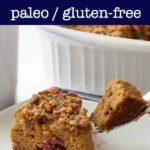 I chose these flavours for two reasons: first, I love pears almost as much as I like apples, and second, I remembered how much we liked these Paleo Pear and Cranberry Muffins. 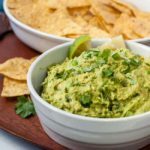 You may have noticed that I’ve used this combination in other recipes, too! 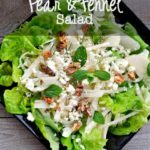 This Cranberry Pear Chopped Salad is a favourite of ours in the fall. Can I freeze this Cranberry Pear Coffee Cake? 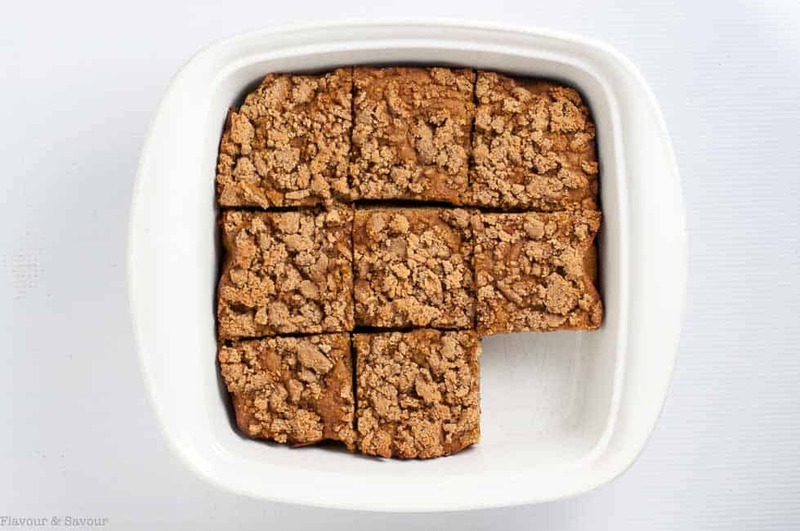 This paleo-friendly cake slices easily for a packed lunch and it freezes beautifully, too. Have a slice or two, then pack the rest in an airtight container and freeze for another day or for unexpected company. 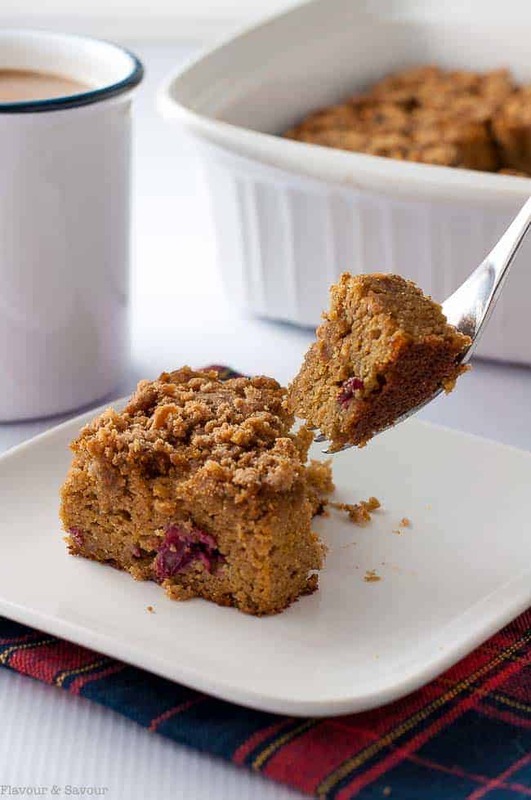 This tender, delicious Gluten Free Cranberry Pear Coffee Cake is perfect for morning coffee or even for a simple dessert. 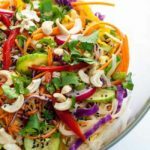 You won't believe it's grain-free and dairy-free! Heat oven to 325°F. Line an 8 x 8 baking pan with parchment paper. Make the cinnamon crumble topping first. 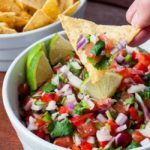 In a small bowl, combine all ingredients and set aside. In a large bowl, combine oil, maple syrup, coconut sugar and pears. Stir well. Add the eggs and beat until well combined. In a medium bowl, combine the finely ground almond flour, coconut flour, baking soda and spices. Add the dry ingredients to the wet ingredients and stir just until combined. Gently fold in the chopped cranberries. Spread in prepared pan. Sprinkle cinnamon crumble on top. Bake at 325°F. for 45 - 50 minutes. Let cool completely before slicing. If desired, drizzle with a simple glaze made by combining 1/2 cup powdered sugar with 2 teaspoons lemon juice. Good, but not essential. The cake is delicious with or without the drizzle. I used a ripe, juicy Bartlett pear in this recipe. When grated, it had the consistency of applesauce. 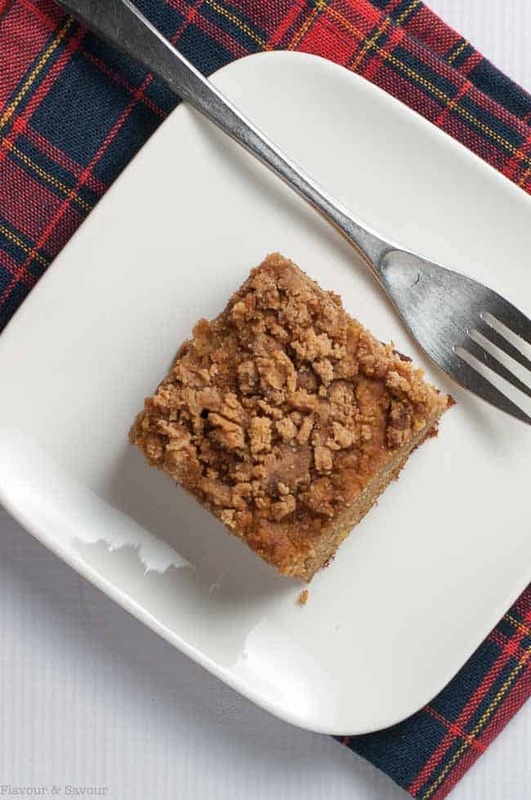 Try these coffee cake recipes, too. This recipe is a winner. I made it exactly as you said, with pears and cranberries. It was moist and tender and we loved it. I’ll be making this one again!